Capt LW Burroughs has been fishing the Inshore Bay and Gulf waters of the Florida and Alabama Gulf Coast since he was a child. Born in 1968 on the Alabama Gulf Coast and raised in the Destin, Florida area, Capt LW has over 35 years of saltwater fishing experience and has compiled a wealth of knowledge of the vast Gulf Coast marine life and local Florida history. Capt LW is a third generation fisherman with his fishing heritage deriving from his Great Grandfather William Dennis, who owned and operated a commercial fishing boat and caught and sold fish along the Gulf Coast. Capt LW’s passion for fishing was truly inspired at an early age under the guidance of his Daddy Lloyd Sr. As a youth, LW fished with his family and friends from just about any location imaginable. Bridges, canals, boats, and beaches, no matter the location or what they caught it was always about the time and experience together that made each trip an Unforgettable Angling Adventure. And oh yeah, the way his “Mama Rose” would fry up that great tasting fish they caught, was also true motivation. After achieving a Bachelors Degree in Computer Science and subsequently completing a distinguished career in the US Air Force, Capt LW officially pursued his professional aspirations to be a Full-Time Professional Guide and Tournament Angler. 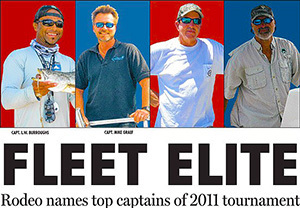 Capt LW is considered one of the top Captains on the Gulf Coast. He is a US Coast Guard licensed and insured Captain. 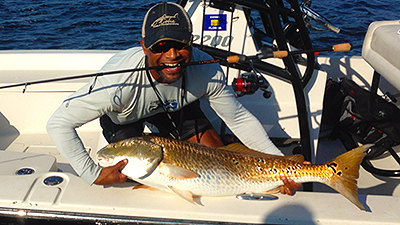 Today you can find Capt LW guiding full time/year-round in his home waters of Destin, Florida. When he is not guiding, you can count on the fact he is scouting out new fishing areas for clients and upcoming tournaments, testing new artificial lures and maintaining a constant knowledge on the latest movements of marine species within his Gulf Coast area. 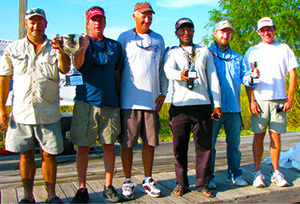 Capt LW is a contributor to 3 Gulf Coast Fishing Reports. 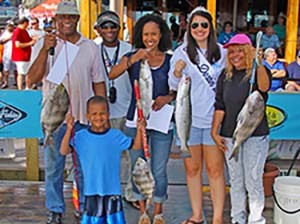 Capt LW is professionally associated with the Coastal Conservation Association and donates his free-time to Youth Mentoring and Take a Senior Citizen Fishing programs. Capt LW Burroughs is an accomplished tournament fisherman and has won major fishing tournaments up and down the Gulf Coast. Capt LW’s notable accolades include being a Two Time Destin Fishing Rodeo Capt of the Year and Capt of the Year Calcutta First Place Winner! 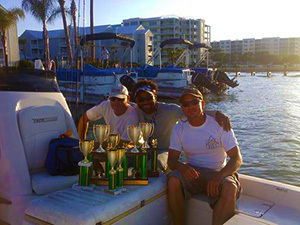 Capt LW’s clients who fished his most recent Destin Fishing Rodeo campaign swept 6 of the 8 Inshore Division categories and 3 categories within the Nearshore Gulf Division. In addition, Capt LW and his good friend and tournament angler, Trenny Woodham, garnered a second place overall against some of the Gulf Coasts most seasoned inshore fishing teams in the Alabama Inshore Slam 5-stop series Tournament Championship Trail. Capt LW currently reigns as the Breakwater Outfitters “Battle of the Bayou” Redfish and Speckled Trout Calcutta Champion, a tournament in which he’s produced the First and Second Place Speckled Trout for three years consecutively. 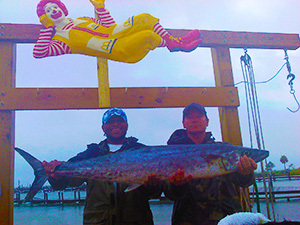 Capt LW is all about low stress and high fun when fishing with his clients, family, and friends. 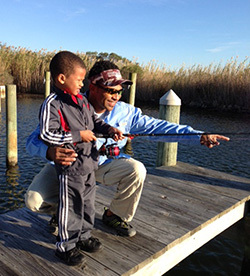 He is extremely safety conscious and is patient with all levels of fisherman and loves to teach kids and grown-ups that want to learn how to become a better fisherman. Special Thanks To: Tim Tarpley, Kevin “Mack” McDaniel and Trenny Woodham for their friendship, shared insight, and an unrelenting passion toward the pursuit of recreational and competitive sport fishing.